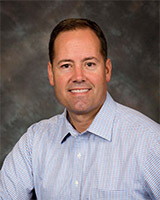 Robb Stevens began his career at Med One in January 2002 as part of the leasing sales group and was appointed as SVP and Director of Equipment Leasing in 2012. He has been a top contributor to lease originations, vendor development, creating strong relationships with customers, and successfully blending all aspects of the leasing sales process to maximize returns. 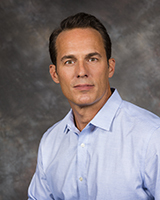 Carter Allen has been in the financial industry for more then 20 years and has been with Med One Group since 2002. He appreciates the opportunity to provide solutions for hospitals that allow them to gain access to much needed equipment. Carter manages strategic accounts that are essential to Med One's success. His experience with healthcare leasing provides customers with valued solutions. 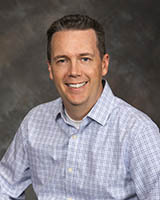 Tim Loftis joined Med One as a Leasing Account Manager with over 15 years in sales and business development with Morgan Stanley, JP Morgan Chase, and the Economic Development Corporation of Utah. Tim received his MBA from the University of Utah and a BA from Occidental College. He serves our partners in the medical community by providing effective solutions in a responsive and friendly manner. Spence Tueller joined Med One as a Leasing Account Manager. He graduated from BYU with a degree in Health Science and Business Administration. Spence also has experience in lease sales as well as a background in general sales and business development. Quin Campbell joined Med One as a Leasing Account Manager in 2015. 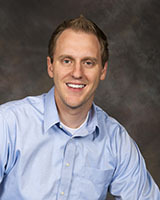 He is a graduate of Utah State with a bachelor’s degree in marketing. Quin brings 4 years of experience in management and enjoys being a problem solver and making sure customers have a great experience. Al joined Med One as an Equipment Finance Sales Executive in August 2017. Al graduated from Iona College with a bachelor’s degree in business administration majoring in marketing. Al has worked as a sales executive in the healthcare industry for close to 25 years. He has a background in infusion, barcoding, hospital information systems, radioscopy, ultrasound and vital signs monitors. Brian Nappi joins Med One as an Equipment Finance Sales Executive bringing more than 20 years of experience in medical equipment sales, finance, and business development. He earned his bachelor’s degree in electrical engineering from Texas A&M University. Brian understands that his customers are busy and prides himself on quietly listening and accurately defining their needs to create simple, satisfying solutions that allow them to quickly acquire the equipment needed. Brian enjoys developing friendly, supportive, long-standing, and fun relationships with his clients. Amy Vizanko joins Med One as an Equipment Finance Sales Executive bringing 15+ years of medical sales knowledge. She graduated from Marquette University, in Milwaukee, Wisconsin with a bachelor's degree in biomedical engineering. Prior to her time at Med One she gained medical sales experience working with both Philips and CareFusion (now BD). She has extensive technical biomedical knowledge and understands the importance of solving complex customer problems. She enjoys being active, and spending time with her family. Julie Harrison joined Med One Group in September 2018 as an Equipment Finance Sales Executive. She brings with her 20 years of medical device experience, primarily in the anesthesia market, in the Chicago/Midwest region. Julie appreciates the challenges of being in sales while developing valuable relationships and continually working on personal growth. On a personal side, she enjoys her four kids and all of their activities. Our National Sales Team is comprised of experienced professionals brought together for the specific purpose of Making Medical Equipment Available for hospitals and healthcare facilities across the U.S. They are experts in rental and sales, and seek to always put the customer's needs first. 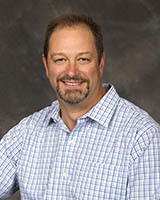 Brad Johnson is the Senior Vice President of Equipment Rental and has been working at Med One Group since 1994. He works closely with various companies and hospitals in the effort of achieving the highest utilization of our rental equipment as possible. 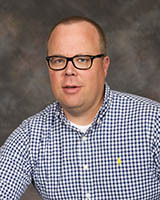 Brad graduated from the University of Phoenix with a bachelor’s degree in business and accounting. He enjoys playing golf, fishing, hunting, and spending time with his family. 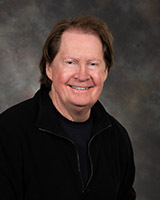 Tom Lindsey has over 35 years of experience in the medical sales and rental industry, allowing him to successfully and professionally represent and value products, services, and manufacturers. He graduated from Brigham Young University with a degree in Microbiology, was a former EMT, and is CBEST certified. Tom has been involved with Med One Group since 2001 and continues to be a valuable part of the team. Brian Smiley has been a part of the Med One team since 1999 and serves as a Regional Sales Manager focused on equipment rental. 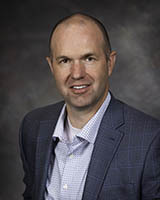 He received his bachelor’s degree in finance from the University of Utah and is also certified on the CareFusion and Smiths Medical equipment that Med One works with. 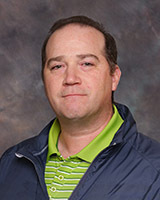 He enjoys watching football and spending time with his family, especially coaching his sons at football and soccer. 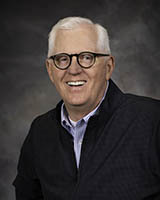 Bill Varley has over 30 years of experience in marketing and sales. 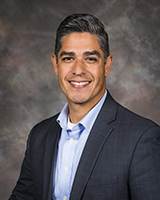 Prior to working at Med One, he worked at several different medical device companies in management positions specializing in imaging applications, cardiology and infusion. Bill has worked all over the U.S. and internationally to provide better solutions to hospitals and healthcare facilities. 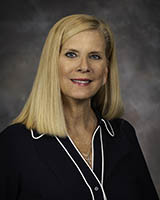 Karen Raven is the leader of the Eastern Region and International Sales Teams and has worked in the healthcare industry for over 30 years. 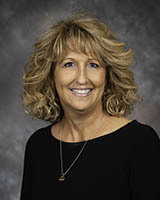 Karen has worked in various roles including Direct Sales, National Accounts, and Regional Director. Karen has a background in infusion, vital signs monitors, and enjoys working in healthcare because the products sold save lives every day. 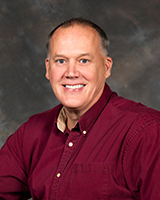 Scott Wooster has over 27 years of experience in medical equipment sales. His specialty is in equipment rentals, asset management, and medical device sales. 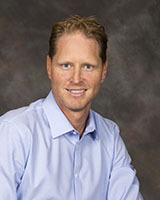 Scott has also held management positions in several medical companies. 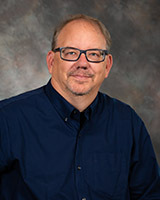 Scott enjoys being a customer advocate, helping hospitals find solutions to fulfill their equipment needs, and helping facilities provide the best care possible. 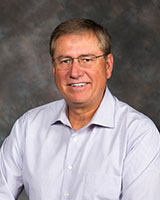 Mike Daniels has over 25 years experience in sales and marketing and started in the medical rental arena in 1985. Over his career, Mike has worked with everything from movable medical equipment to specialty support surfaces—both rentals and capital sales. During his off time, he enjoys spending time with his family, church, surfing, and any outdoor activity. 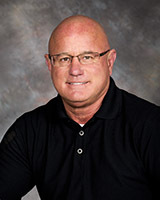 Bryan Dabney has over 25 years of experience as a respiratory therapist and comes from Respironics where he worked as a Traveling Clinical Specialist and an Account Manager. 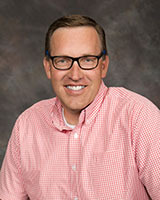 Bryan was born in Livermore, California and lived there until advancing his schooling in Rexburg, Idaho at Ricks College. 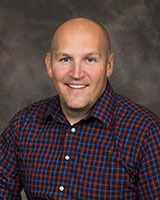 Bryan finished his schooling at Weber State University and graduated with his bachelor’s degree in respiratory therapy. Skip Horton joined the Med One Rental Division as a Territory Sales Manager in June 2017. He brings over 30 years of experience in the Healthcare industry, with previous experience at Eli Lilly, DuPont, and BD. Skip graduated from East Carolina University with a bachelor’s degree in life science. Skip enjoys working with his customers and making sure that they have the equipment they need to care for their patients. Jay Thorley joined the Med One Team in 2015. Prior to Med One, Jay worked in the mortgage industry for 12 years. He enjoys working with customers to make sure that they have the equipment they need to care for their patients. Jay enjoys spending his time with his wife, son and two boxers. Mark Rogers joined Med One in early 2017 as a Territory Sales Manager in Southern California. He has been in the healthcare industry for over 25 years. Mark has experience as a business owner manufacturing support surfaces, as well as an independent representative offering capital equipment to acute care facilities. In his spare time, Mark likes to ski in the winter and enjoys water sports in the summer. Max joined Med One as a Client Services Executive in 2017. He started his career in the healthcare industry in 1995. He has background in many different positions including driver technician, trainer, sales executive, and president of a Freedom Medical distribution center. He enjoys knowing he is able to provide a better solution for his clients. Max enjoys spending time with his family, being involved in his church ministries and coaching/playing soccer. 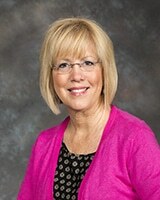 Theresa Warren earned her bachelor’s degree in Speech Communication from California State University. From there she started her career in medical sales in 1997. 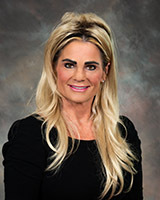 She has ten plus years of pharmaceutical sales experience promoting various oncology, dermatology, cardiology, infectious disease, internal medicine and pain management drugs within offices, clinics, hospitals, pharmacies, and home healthcare settings. 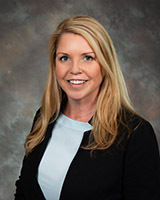 She joined Med One in 2018 as Territory Sales Manager covering Orange County California. She enjoys time spent with her husband and three children. 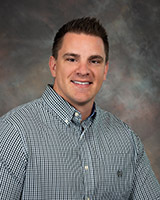 Kyle Smelser joined Med One in 2018 as a Territory Sales Manager covering the Greater Los Angeles area. He brings eight years of sales experience in direct equipment sales and rental. Kyle graduated from Indiana University with a bachelor’s degree in Finance. Before Med One, he most recently worked at Sightpath Medical, providing hospitals and surgery centers rental solutions for cataract surgery. Kyle enjoys finding solutions that work best for hospitals and their patients. 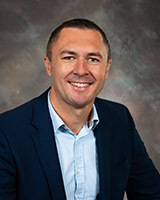 Braden Mackay joined the Med One team in August of 2018. He has over a decade of experience in Sales and Marketing in a variety of industries, most recently in a blend of Non-Profits, Pharmaceuticals and Tech. Born in Johannesburg South Africa, he moved to California at the age of 11. He completed his education in Sacramento before moving to the Bay Area in 2015. A golfer and motorsports fan, he often spends his weekends on the fairway or at a racetrack. 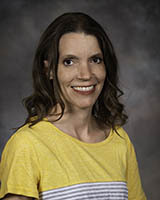 Lisa Woods joined Med One in December 2018. She graduated from the University of Laverne with a degree in business accounting. Prior to Med One, she worked in sales and marketing for about 25 years traveling all over the world as an international buyer. 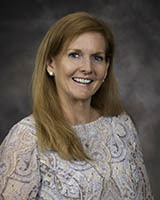 Lisa was the Director of Sales and Merchandise overseeing 3 sales divisions and responsible for the product development, purchasing, packaging, product safety testing, and licensing contracts before switching industries into the medical equipment rental field. She likes to spend her free time with friends and vacationing. Jay Matthaei graduated from Southampton College with a bachelor’s degree in business. He has over 30 years’ experience selling capital medical equipment. 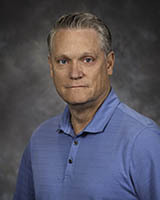 Jay joined the Med One team in January of 2019. Prior to Med One he most recently worked for Becton Dickinson, previously known as Carefusion. Outside of work he enjoys surfing, running, riding his bike, and spending time with his family. 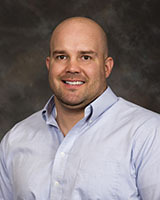 Jeremy Quick joined Med One in August 2009 with an extensive background in sales and marketing. Jeremy’s responsibilities include creating relationships in the non-acute care market to present Med One’s products and services. This allows him to reach out to nursing schools, clinics, research facilities, and EMS companies. He enjoys helping these diverse customers acquire medical equipment to aid in the treatment or instruction of those in need. Casie Woolston brings with her over 15 years’ experience in several different sales roles. Specializing in Inside sales she is a great asset to the Med One Equipment Sales team. Before joining Med One in Dec 2018, she worked to transform a customer service team into a profitable inside sales team. Her energetic and happy attitude brightens the day of both customers and coworkers alike. Susan Mingle joined Med One in 2017 as a Director of International Sales bringing 14 years of medical/capital sales experience, with previous experience at BD and Abbot Labs. Susan has a degree in both Education and Nursing. Her Nursing focus was Neonatal Intensive Care. She is passionate about Georgia Football and Gymnastics, and enjoys traveling and spending time with her family.